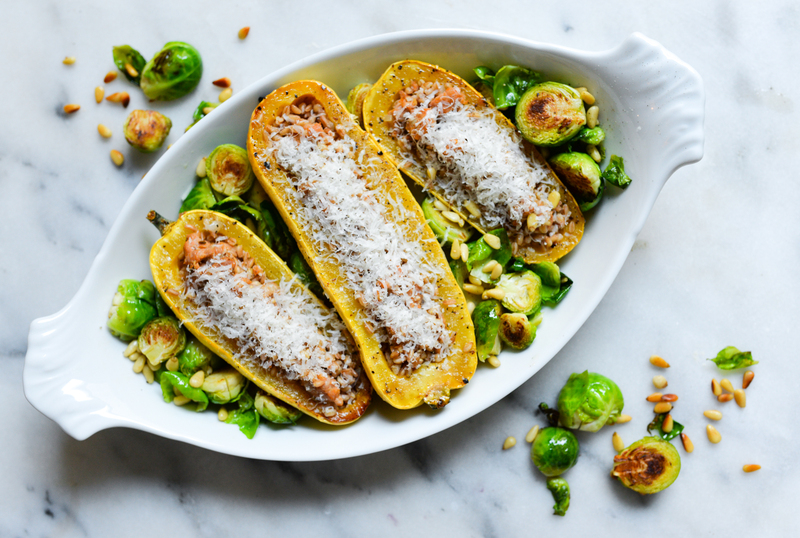 This fall-flavored platter is really a combination of two recipes I like to serve together as the brussel sprouts create a nice bed for the delicata squash so they don’t roll around while serving. 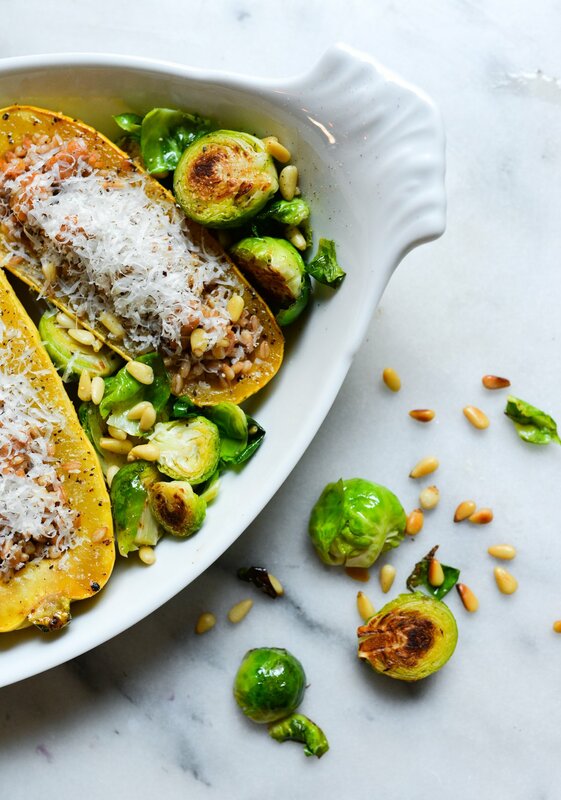 (You definitely don’t want the squash to roll over and dump their delicious contents out!) 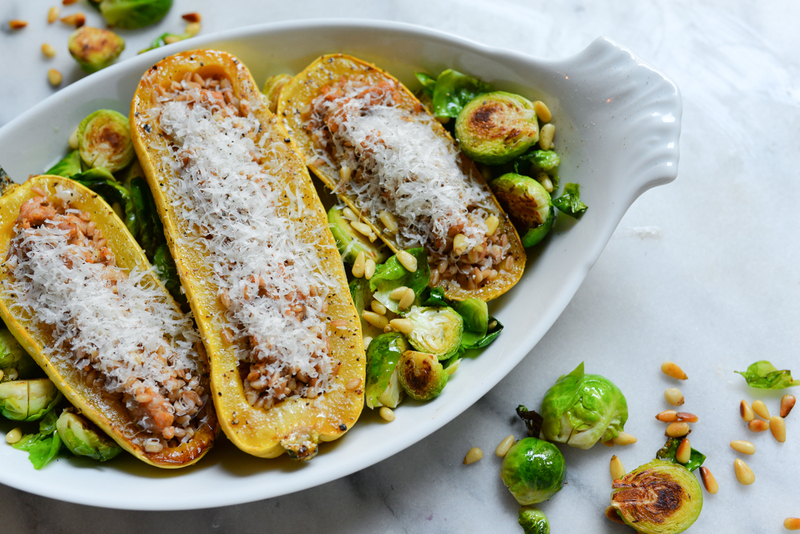 The delicata squash is hearty enough to be served on it’s own for a low-key weeknight dinner, or it’s a wonderful side dish when served alongside this salad, this beef tenderloin entree and paired with this Petite Sirah-led blend from Murrieta’s Well Winery. 2. Heat a drizzle of evoo in a nonstick pan on medium heat. Add brussel sprouts and stir occasionally. When sprouts turn bright green and start to brown a bit (about 5-7 minutes) add pinenuts and stir occassionally until pine nuts are toasted (about 2-3 minutes more). Remove from heat. 3. Sprinkle with salt and black pepper and serve!